The past week was yet another busy one at Woodhaven Middle School. We took a moment today to celebrate all of our moms on staff with this video (it’s really work the 2:30 mins) before we gave shout outs to so many dedicated staff members. Our PE team has done a great job setting up for the upcoming track meets (Gr. 7-9 on Thursday, May 14th) and with our Spring League basketball. 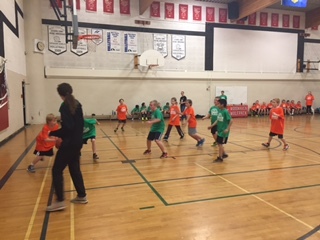 I can’t say enough about how great it has been watching our incoming gr 4’s interact with the current gr 5’s, our PE team and some of our grade 8 and 9 student leaders. It’s such a fantastic opportunity for all! 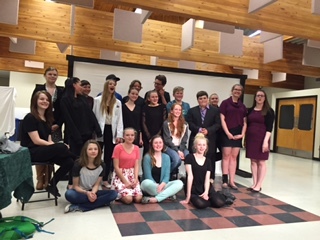 We also celebrated Mrs. Elsdon and her One Act Drama team for their award-winning performance of “The Struggles”. I was fortunate enough to be able to see the final showing at our school Tuesday evening with many of our parents. What a great show put on by our students! 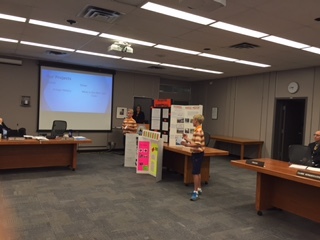 It is also important to acknowledge Mrs. Ducommun, Ethan and Connor for their fantastic presentation to the Board of Trustees on their Passion Projects. They represented our school so well! Finally, a quick shout out to all of our badminton and soccer coaches, Mr. Winkel, Mr. Millard, Ms. Foster, Mr. Ferzli, Mrs. Bradshaw, Mrs. Kindrat, and Mr. Wangler! The upcoming week brings many activities ranging from Gr 6&9 Part A of the Language Arts PAT’s (April 13th and April 11th respectively) as well as a grade 5 field trip to the Devonian Botanical Gardens and week 2 of our Student Recognition Program. 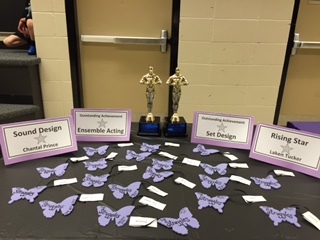 This entry was posted in Engage our Community, Engage Our Students, Fostering Effective Relationships, Leading a Learning Community, Providing Instructional Leadership and tagged Mother's Day, One Act Festival, Spring League, The Struggles, Woodhaven Middle School. Bookmark the permalink.